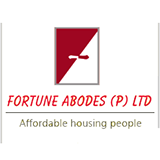 Fortune Abodes (p) Ltd has been into the construction of residential, commercial and infrastructure projects since 1992 though initially under the parent company’s tag of GNV Construction. We are a trusted Flat Builder and Promoter in Chennai. We have always given atmost attention to the layout and planning of buildings considering minute aspects of basic comfort and workability. We have always delivered what we have committed and inturn we commit only what we can deliver. This trust what we imbibe in our customers is what we believe will take us a long way. We believe in delivering homes with clear titles, good quality, no deviation from CMDA regulations, vastu compliant and customizing the apartment to the maximum extent to client needs making buying an apartment a cherishable experience with us. The very fact that we have completed over 40 projects with a lot of repeated customers stands testimony to our delivery and commitment. The relationship we maintain with every apartment buyer and a land owner is beyond business as we believe we convert dreams of people to reality so we treat every customer special.